One of the fun things we go to do this summer was build a second robot. We were able to play with some of the ideas we did not choose for Windsor. We first started designing ideas in CAD. This allowed us to have many ideas right in front of us without having huge prototypes laying around the shop. Once the ideas were picked, we started prototyping and building. The shooter for "Long Bob" is a catapult design and the pick up method is . Many of the parts and pieces on the robot are 3-D printed on our amazing printers. This allows us to use parts that do not actually exist and to add some much needed orange flair to our robots. There is never enough orange. The team had a blast at Mainely Spirit! We competed with 2 robots, Windsor our 2016 competition robot and Long Bob, our 2016 summer build. After a long fun filled day, Windsor finished qualifying rounds in 4th place and Long Bob in 10th, in a field of 24 competing robots. Long Bob amazed the team by scoring 4 high goals first time out on the playing field, a new drive and no practice time. A week before Long Bob was just having electronics put in and programming downloaded onto him. Needless to say, we were all pretty happy when he just drove in the correct direction the first time. Our 2 robots went head to head in the elimination rounds forcing a 3rd match. 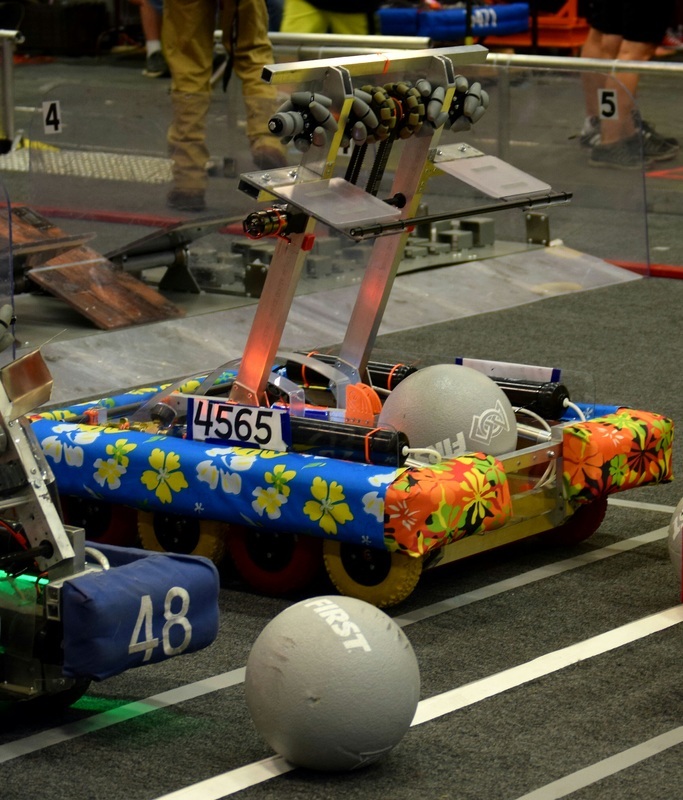 Long Bob finished as a semi-finalist and Windsor finished as the 2016 Mainely Spirit Winner along with alliance partners Team 133: Bert and Team 4041 Iron Tigers. During all of the fun filled competition there was another competition going on with the chili/chowder cook-off challenge and one of our mentors Jenn S won! The day was so much fun, we always look forward to the Mainely Spirit competitions because its like going home to family. We know almost everyone on every team there. Its always an amazing experience. Thank you Team 2648 Infinite Loop for hosting another great year!